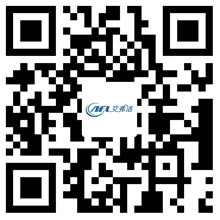 Centrifugal Fan is The Main Force of The Exhaust Industry - Hangzhou Airflow Electric Appliances Co.,Ltd. How does the centrifugal fan propel the air in the axial direction? Let's see how the centrifugal fan is different from the axial fan. First, the air enters the impeller axially. The air is then accelerated by the blade and discharged radially. In other words, the air enters the center of the wheel, and then it leaves the blade at an angle of 90 degrees. As the name implies, the centrifugal fan causes air by the centrifugal force generated by the rotating air column. This creates potential energy by imparting the rotational speed of the air when leaving the tip of the blade. Centrifugal fan is the main force of the exhaust industry. Like an axial fan, there are different types of centrifugal wheels / fans. Here's what you need to know about the basic types of all centrifugal fans. A forward-curved fan, sometimes called a volume or squirrel-cage fan, uses a small and numerous impeller blade. They operate at relatively low speed and pressure, which allows lighter wheels, shafts, bearings and housing structures. Such as CNW centrifugal fan, its style is relatively small. These fiberglass fans are used for many different applications, such as sewage treatment plants for exhaust or ventilation. They provide a high, medium and low volume of air pressure of no more than 6 inches. They are usually chosen in about 3 inches of water meter or less. Rear-mounted fans, sometimes referred to as load-limiting or non-overloaded fans, are industry heavy centrifugal fans. They also have different styles. The impeller blades tend to be larger and heavier than the forwardly curved blades. They are usually numbered between 8 and 12 blades. The rearwardly tilted fans are used to transport the media to a relatively high air flow because their static pressure is always in the range of 20 inches of water (sometimes higher). There are three different types of tilting wheels: flat single thickness, curved single thickness and curved airfoil (most effective). The equivalent fan for this type of application will be the DHK model. These can be used for heavy duty applications such as sewage treatment plants, production equipment, silicon chip factories and semiconductor factories, where they are pulling high with a high limit and static pressure of the washing system. Radial blade fans are usually smaller, narrower, deeper, and heavier than fans that are bent forward or backward. The radial vane impeller usually consists of 6 to 12 equally spaced flat leaves. Their design is usually very simple, they can be more durable.